The person behind the furniture company AC Grayling is not your average woodworker. 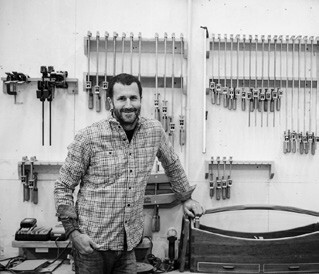 A 2005 graduate of the International Yacht Restoration School (IYRS) in Newport, Rhode Island, Andrew Coughlin is a modest man in his early 40s who knows a thing or two about building durable furniture inspired by ships and the sea. After graduating from IYRS, Andrew was selected to help restore the 1913 Herreshoff NY50 Spartan at MP&G in Mystic, Connecticut; she is now the only surviving “New York 50” sloop in the world. Three decades earlier, Spartan’s then-owner hired a restoration crew that included Andy Gilbin, who would later become one of Andrew Coughlin’s greatest influencers in boat building. When Andrew climbed aboard the yacht decades later to continue its restoration process and serve as captain, Andy provided him with valuable mentorship and guidance. “In addition to teaching me superior craftsmanship,” said Andrew, “Andy taught me how to lead people and adhere to the best standards possible.” Those lessons gave Andrew the confidence he needed to utilize his skills as a boat builder and transition them into innovative furniture making. 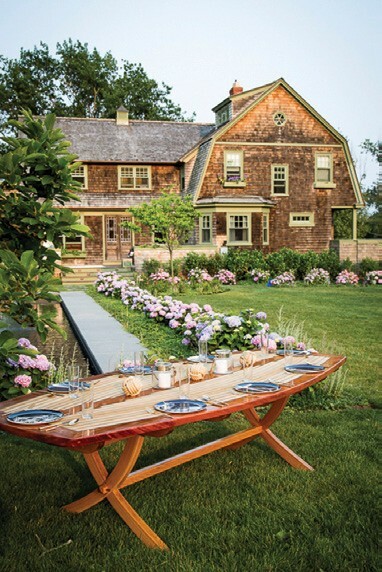 Given his background as a boat captain and outdoor climbing guide, it’s not surprising that Andrew’s furniture has natural, unique, and nautical characteristics. His signature Spartan dining room table, for example, is nine feet long and over four feet wide, and seats up to 12 guests. It evokes the feeling of being on a boat deck, one made out of the best quality mahogany, teak, and oak woods. Rather than make the legs of the table straight, Andrew steam-bent them to make beautiful curves, reminiscent of a boat’s bow. In 2014, Andrew founded AC Grayling, LLC in Fall River, Massachusetts. The name represents his initials and one of his favorite boats, a very special vessel named Grayling that was built by Frank Rice of East Boothbay, Maine in 1915. It’s worth noting that there’s another AC Grayling out there…a famous British philosopher and founder of the New College of the Humanities in London. What could he and Andrew Coughlin’s furniture company possibly have in common, you ask? Well, for starters, they both pride themselves on authenticity, the highest quality, and an appreciation for the natural world. To view the current gallery of furniture or to learn more about AC Grayling’s customized, nautical furniture for the home, boat, or business, visit acgraylingfurniture.com. Maeve Ryan is a former marketing director and educator. She has two decades of combined experience in educational technology, project management, content marketing, and digital media. She is currently a marketing consultant and freelance writer living in Vermont. For more information, visit maeveryanconsulting.com.